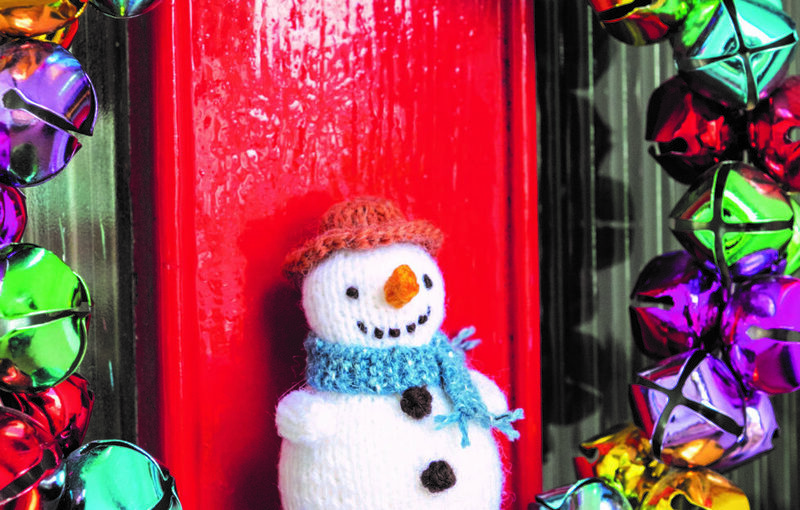 We’ve a real treat for you in this issue, a cute little snowman, perfect for the home or as a gift and a sparkling bolero, ideal for the festive season. This snowman stands 10 cm (4 ins) tall. He is ideal for using up odds and ends of double knitting yarn with the most used in any one shade being the white which requires 12 m.
Red brown, orange, dark brown and blue tweed are the other shades we have used but you could easily use up what you had lying around. 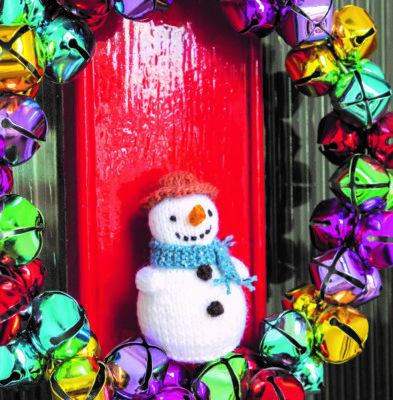 This little snowman makes a lovely decoration and would be great for charity fundraising, too. 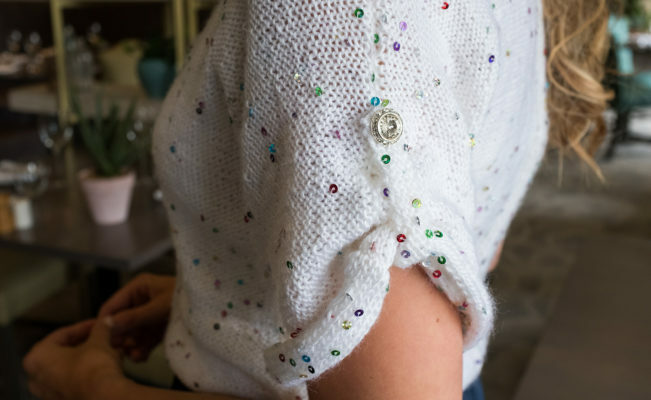 There is time to knit this simple little bolero before Christmas. Worked in King Cole Galaxy DK shade Diamonds, it is the perfect party accessory. Instructions come in six sizes ranging from 76/81 cm (30/32 ins) to 127/132 (50/52 ins). It is designed to be close fitting and the actual sizes are on measurement. The bolero is worked in three pieces. A neat little button tab adds detail on each sleeve cuff and six buttons complete the look. This design has been marked simple. One tip is to make sure the sequins fall to the front of your work. 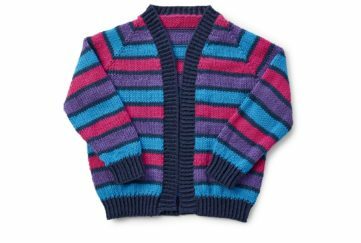 You will also find it easier to use a plain yarn to make up and to attach the buttons. Everyone loves a bit of sparkle at Christmas! If you want a little break, why not enter our Advent Fiction Competition. This week's knit brings a touch of luxury.